Midlands Lubricants Ltd supplier and distributor of premium quality oil and lubricants including VG Hydraulic oil. We are please to provide customers with a comprehensive range of VG Hydraulic Oils often called Hydraulic Oil HLP 46 or AW Hydraulic 46. We also supply ISO 46 grade in HVI Hydraulic 46 (Higher Viscosity) and Biodegradable Hydraulic 46. Midlands Lubricants Hydraulic Oil VG 46 provides customers with a premium quality hydraulic oil that enables power transfer on Hydraulic Pumps etc. Our Hydraulic Oil ISO 46 is formulated from high viscosity index solvent refined mineral base oils with additives to provide excellent protection against oxidation, corrosion, wear and foaming. Midlands Lubricants Hydraulic VG 46 oil is blended to ISO 46 viscosity grade requirements and is recommended as suitable for use in a wide range of mobile or static equipment that have hydraulic applications including Tractor Hydraulic Oil, Combine Hydraulic Oil, Excavator Hydraulic Oil, Crane Hydraulic Oil, Digger Hydraulic Oil, Dumper Hydraulic Oil, Injection Moulding Machine Hydraulic Oil, Bulldozer Hydraulic Oil and Lifts as well as Press Hydraulic Oil. – Blended Brand new to order from virgin base stock. – Delivery at Cost. Check out what Viscosity you require with our Data Sheets. 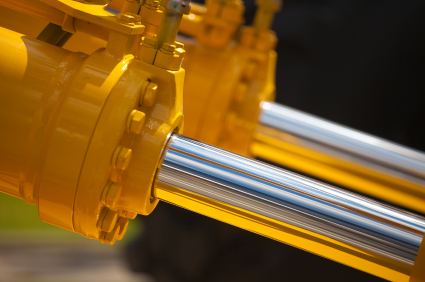 Midlands Lubricants has a comprehensive range of high quality High Viscosity Index (HVI) hydraulic oils suitable for use over a wide range of operating machinery and temperatures. HVI hydraulic oils are made from solvent refined base oils incorporating high performance hydraulic oil additives to provide excellent protection against oxidation, corrosion, wear and foaming and are boosted by the addition of polymeric viscosity index improver additives that enable these oils to maintain an effective lubrication viscosity at elevated temperatures, so staying thicker longer under pressure.